The Panthers defeated Mt. Laurel Baseball twice on Wednesday evening to win the championship. 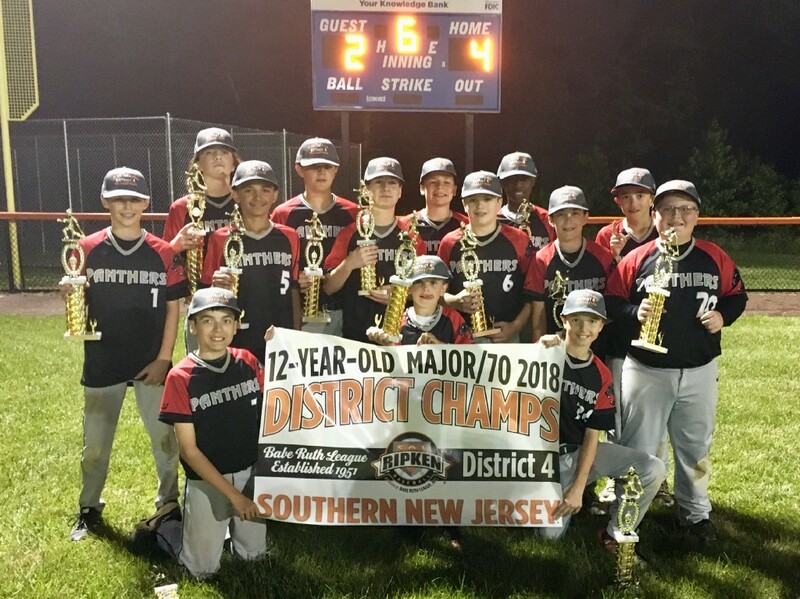 It took nearly four hours, two games and 12 innings, but the CHYAA Panthers 12U Baseball team became district champions on Wednesday night. CHYAA defeated Mt. 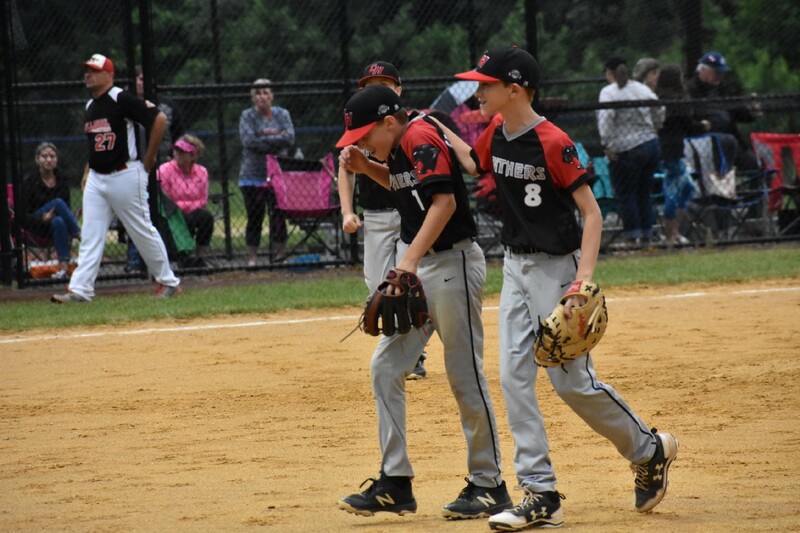 Laurel twice to win the Cal Ripken Baseball Southern New Jersey District 4 50/70 championship in the final games of the tournament at Delran Community Park. In game one, CHYAA broke the game open with a four-run third inning. 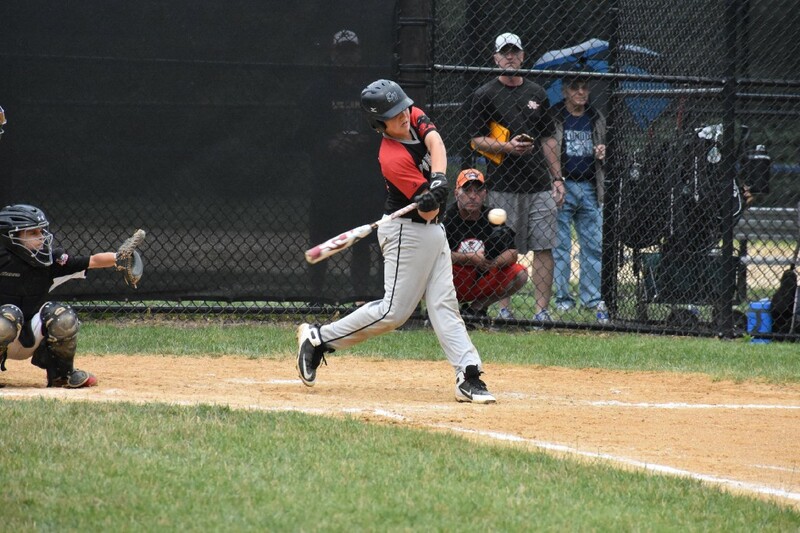 Nicky Mirarchi hit two doubles in the game and knocked in two runs. Emery Johnson went 1-for-3 in the leadoff spot and led the team with three RBIs. 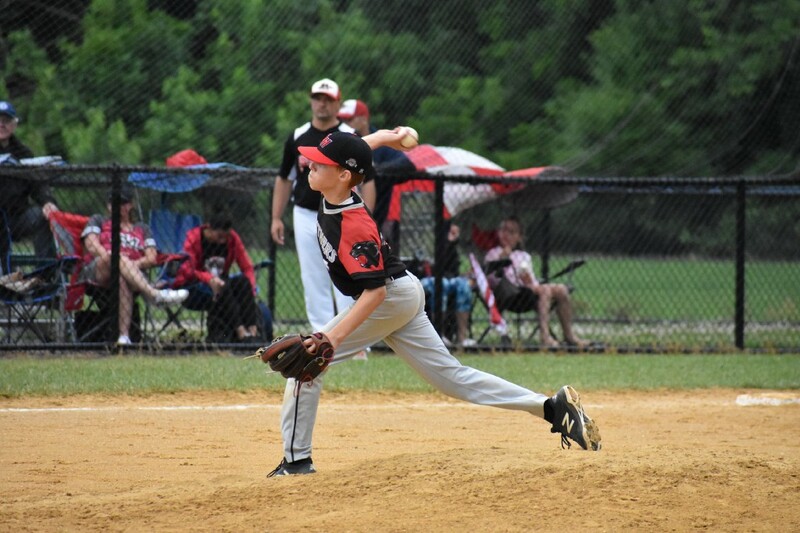 On the mound, Sam Winsett earned the win, allowing just one Mt. 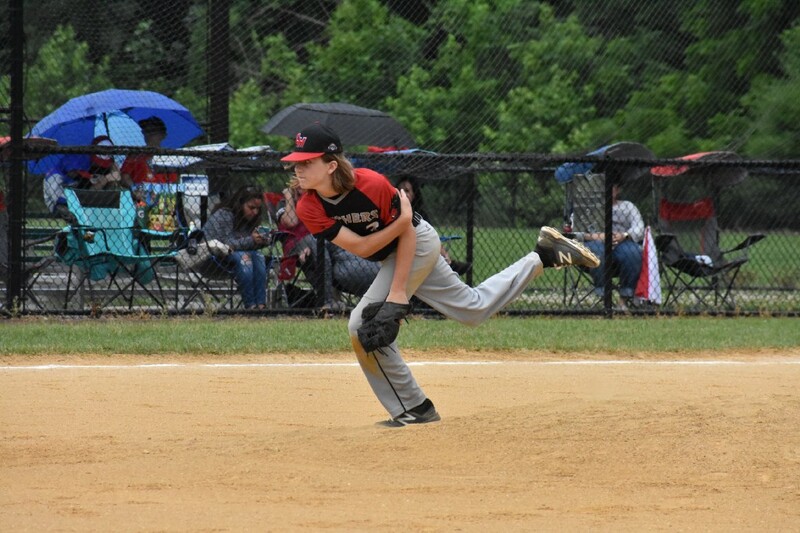 Laurel hit in three innings. Jon Young Jr. pitched the final three innings to close the game out. Needing to beat Mt. Laurel twice to win the double elimination tournament, CHYAA jumped out to an early lead in game two. Young singled in Johnson the lead off the game and CHYAA would add another run later in the inning for an early 2–0 lead. CHYAA’s lead would grow to 4–0 while Colin Thomashefsky shut down Mt. Laurel. Thomashefsky held Mt. Laurel to just three hits and two runs in five innings. When he got into a sixth inning jam, Winsett came in to close the game out and earn the save. This group of CHYAA and Mt. Laurel players have won the district at each age group they’ve played. CHYAA won the 2014 8U and 2016 10U titles, while Mt. 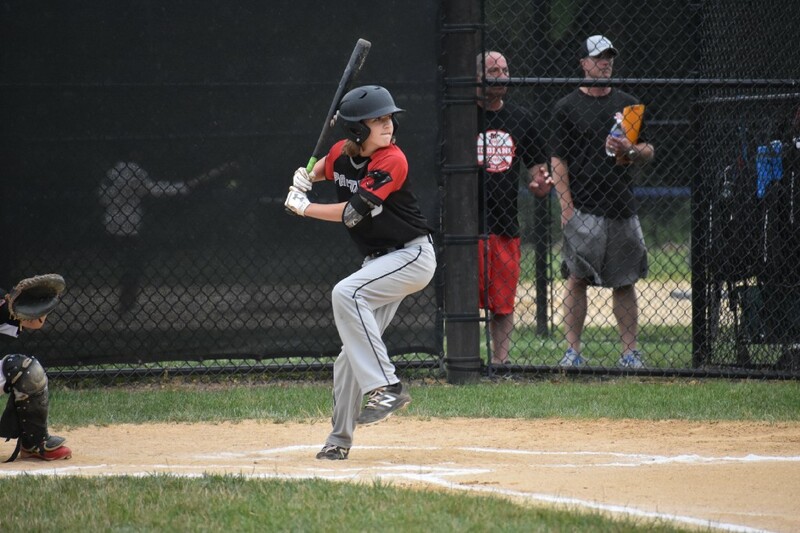 Laurel won the 2015 9U and 2017 11U championships. 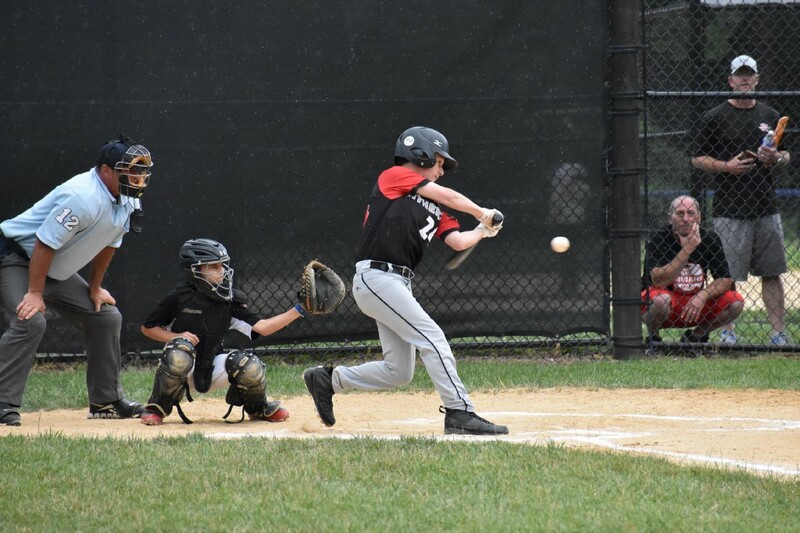 CHYAA will next play in the Southern New Jersey State Championship beginning Thursday, July 5. The tournament will be played in Moorestown.